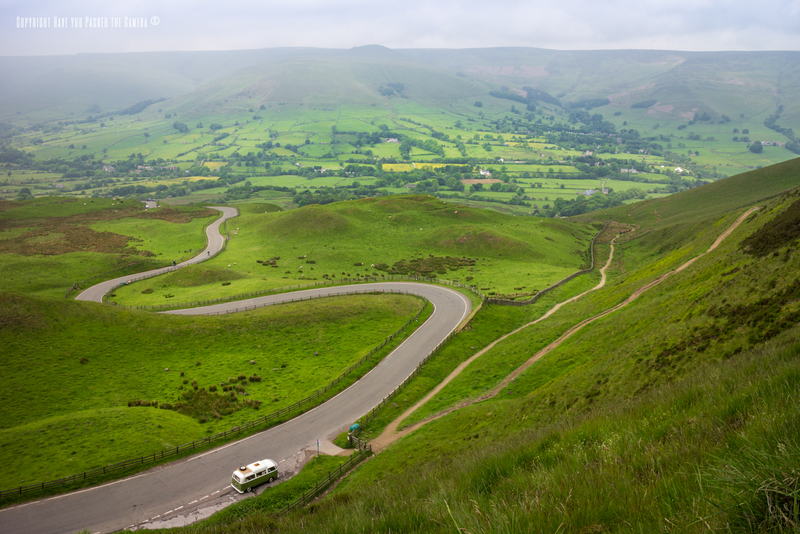 There are so many different areas of the Peak District to explore, and I have only uncovered part of its beauty – Mam Tor was yet another gem that I discovered on a day trip and managed to get some really striking photos. I also enjoyed the long walk through the countryside and being out in the fresh air. Mam Tor is a hill in the High Peak of the Peak District near Castleton, it is 517m and its name means Mother Hill (Deriving from all the smaller hills and landslides surrounding it, making it their mother as such). 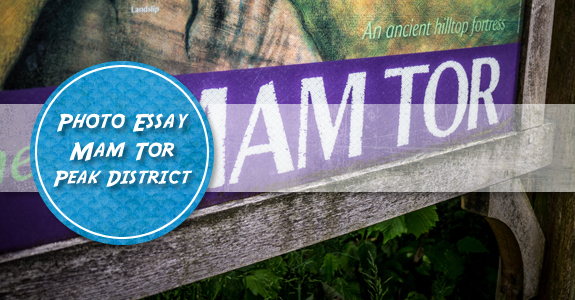 There are numerous caves to explore near Mam Tor including the famous Blue John Cavern, and also the gorgeous Hope valley with the villages of Castleton, Edale and Hathersage. There is a car park at the bottom of the Tor which as of 2016 is £3.00 for all day (National trust members get parking for free) and the path up the Tor is clear so you cannot get lost. 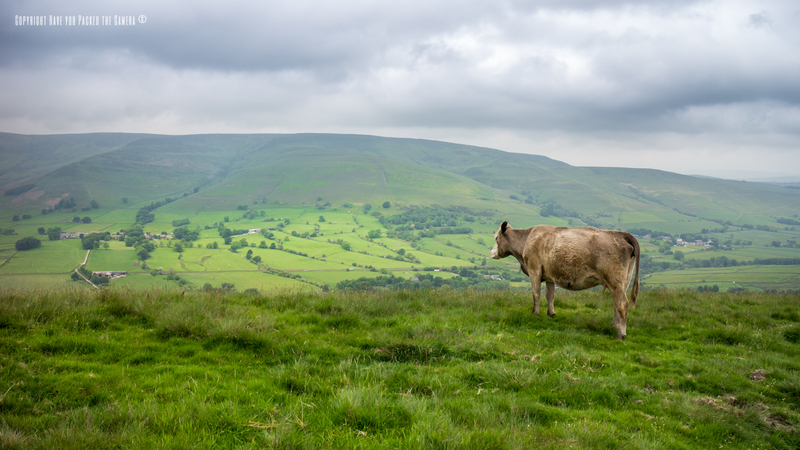 I walked up to the top of Mam Tor, and then along a good section of the Bridleway which stretches across several other hills and into the valley. The far side of the Tor is a gradual incline and was quite tough to walk back up, but the views from the top are just fantastic. Below are a selection of photos I took from the Tor and surrounding area, enjoy! 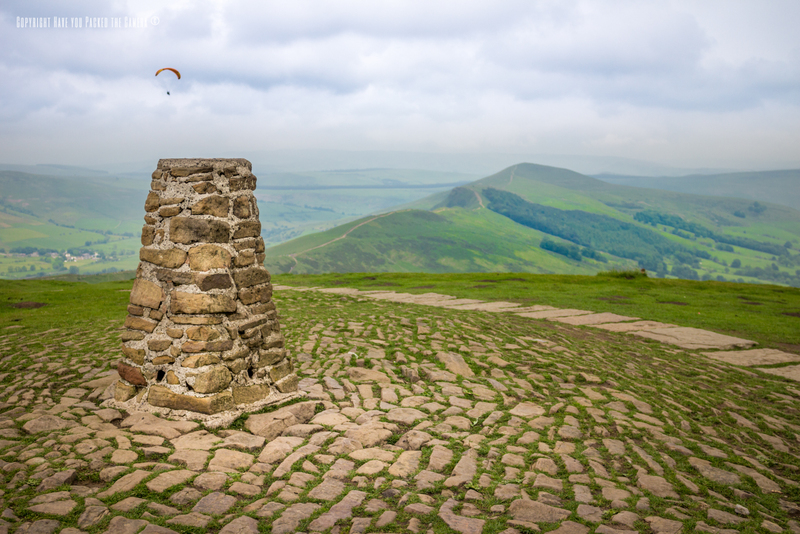 At the top of Mam Tor there is a beautiful stone marker surrounded by cobblestones in a circular pattern. I walk up to the top from the car park and couldn't believe the panoramic views I was treated too - The landscape is just fantastic. 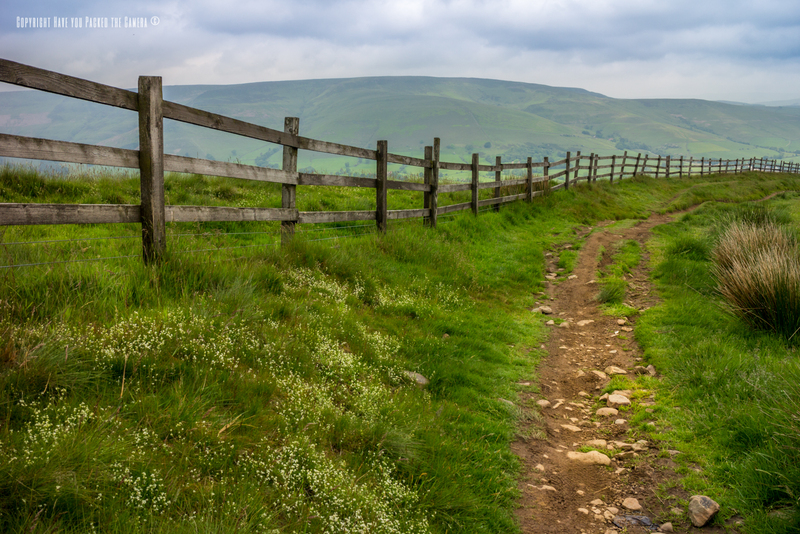 The Bridleway stretched for miles across the ridges of the hills and I enjoyed walking along a fair length of it. The paths were all well marked and had fences to stop you plummeting to the depths below in the valley. There cow was one of the few that I saw - There wasn't much wildlife at all, just some scatterings of sheep and a handful of cows. These cows didn't seem to afraid of humans and they merely stared at me as I walked past! For some reason I quiet like gates and fences like this, they split up the walking paths and give you a goal to aim towards - I think to myself, just get to that next gate and you can have a rest! Furthermore I like the colour and the little signs that are on them for directions. 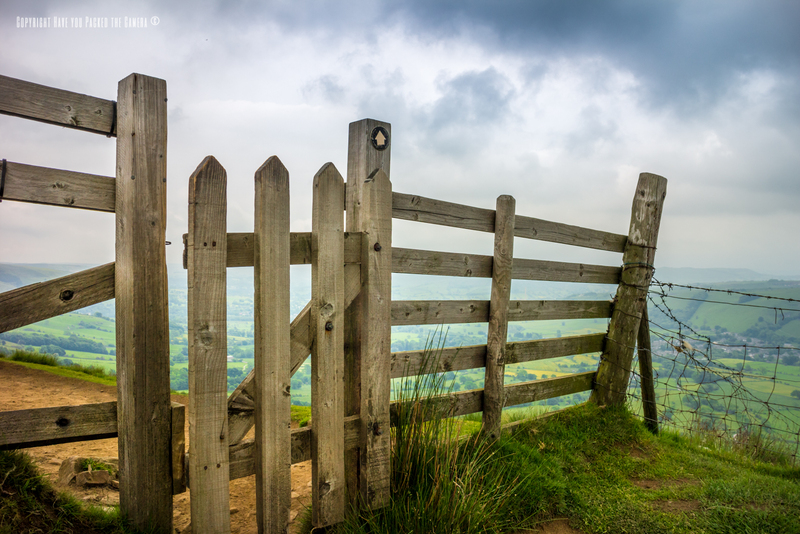 A close-up of one of the Bridleway gates. 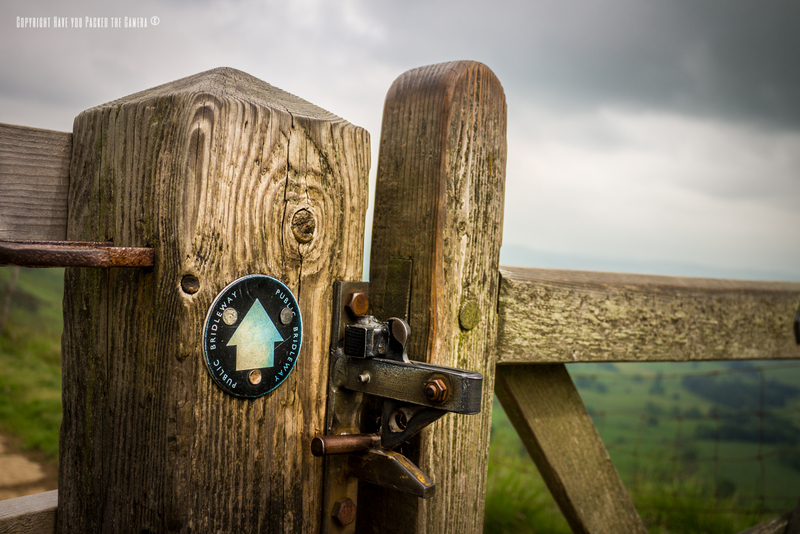 There are numerous little signs on the gates like this and at intervals on the paths so people know which trails they are walking on. I always wonder who made these gates and who made the paths that so many people walk on? 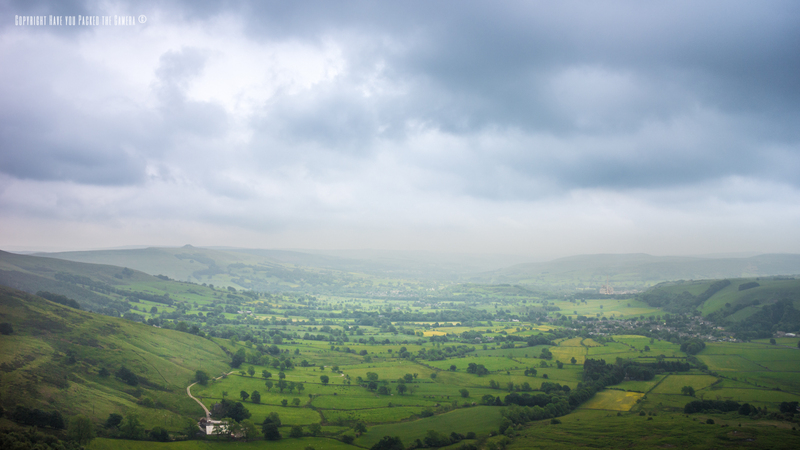 The views of Hope Valley and Castleton were just awesome, I love this photo so much, from the cloudy and ominous sky, to the green and lush valley below, it looks so enticing. The colours of the fields and the various trees and plants came out really vivid and I think these are some of my best landscape photos to date. I like how the peak rises up on the left hand side and then sinks into the valley on the right in this pic. 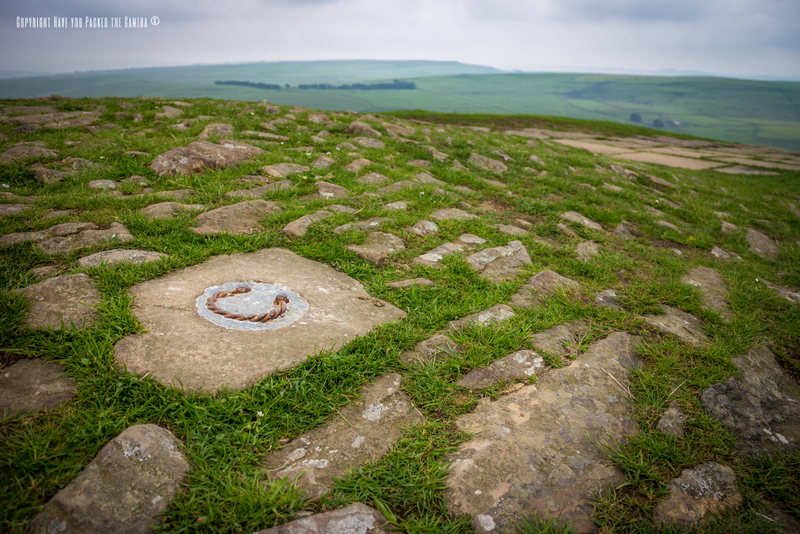 There were several little decals on the floor of the peak of Mam Tor like this horseshoe, I didn't photograph them all but I assume that each one signified something different in relation to the local area. and its history. I could imagine driving on this windy road like a Formula One driver and taking the racing lines then accelerating on the straights, but I settled for taking a couple of photos of the snake-like route instead.